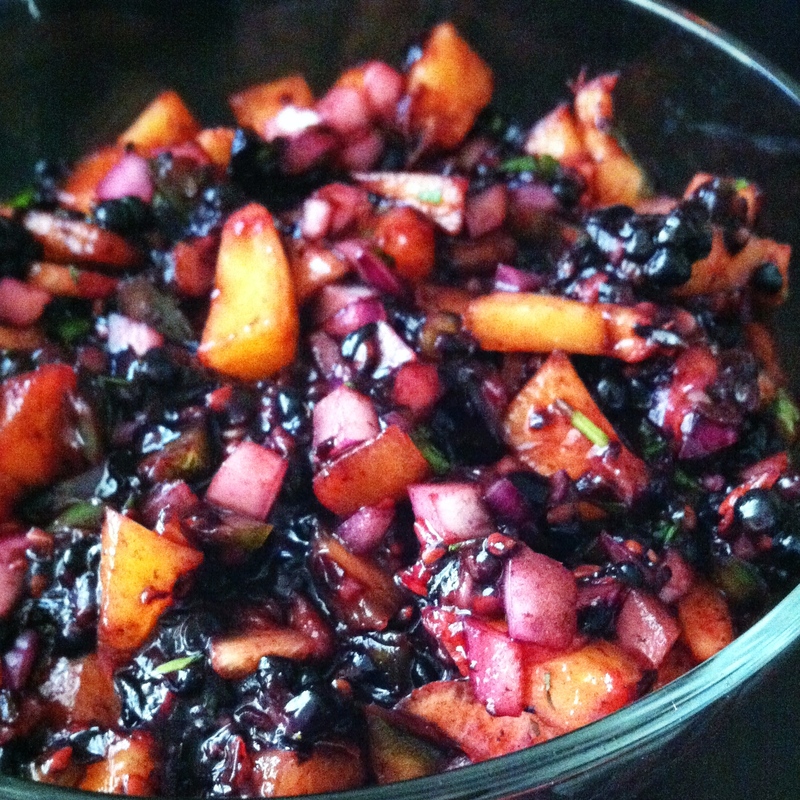 blackberry peach salsa | omfg. so good. A little spicy, a little sweet. Apparently fruit salsas are the next big thing. They’re the food world’s Twilight Saga… maybe even Magic Mike. Yes, I went there. Seriously though, you can never go wrong with sweet & spicy. Throw a little salty & savory into the mix and you’ve achieved full-on umami. Or something close. This particular combination is pretty darn tasty AND versatile. 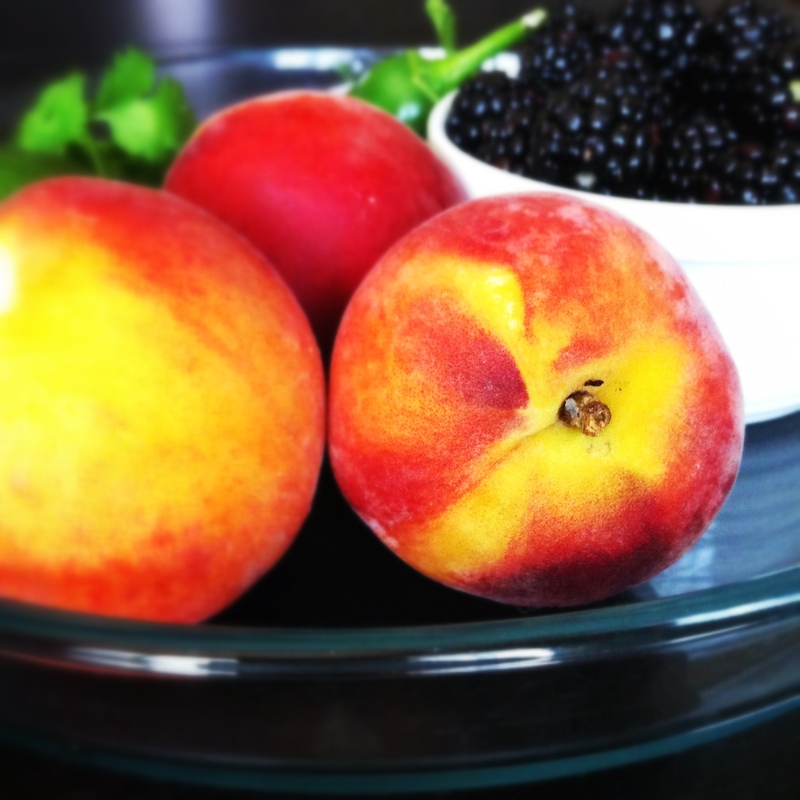 Sweet peaches with juicy blackberries marry well with a bit o’crisp jalapeño spice. 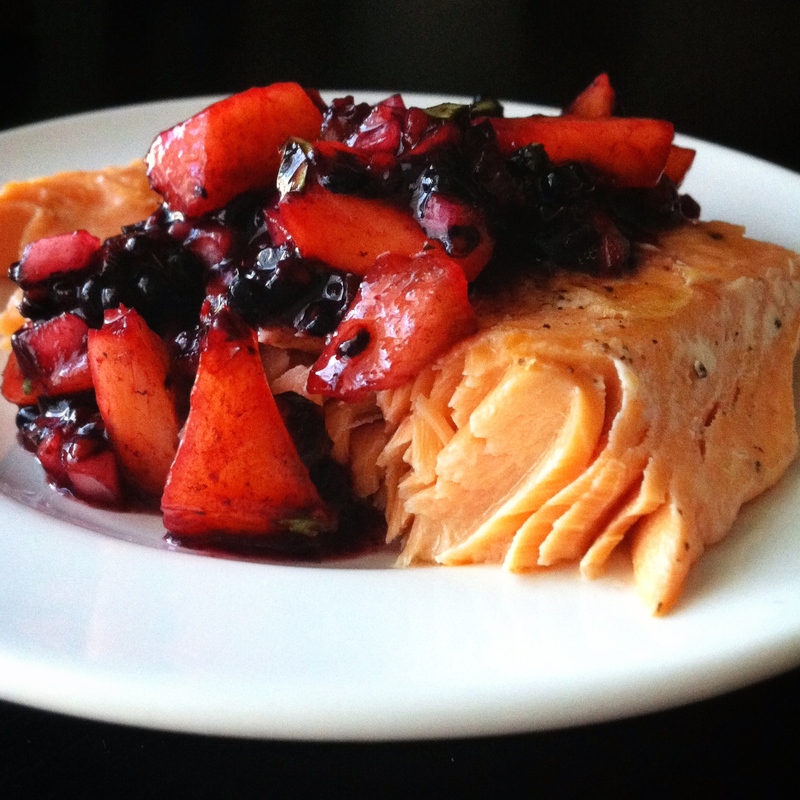 We paired this with grilled salmon, but it would also be delicious with simply seasoned grilled pork or even a cheese plate with some crusty french bread. 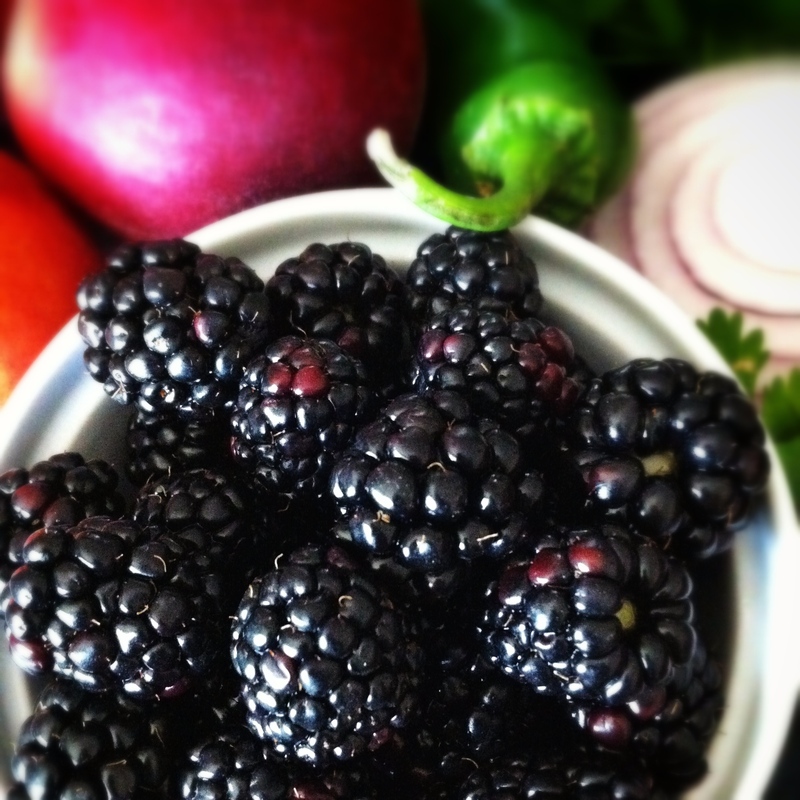 Rinse blackberries and chop roughly on a cutting board, scrape into a medium sized mixing bowl and set aside. Peel and dice peaches, seed and chop the jalapeño, rough chop the cilantro and dice the onions. 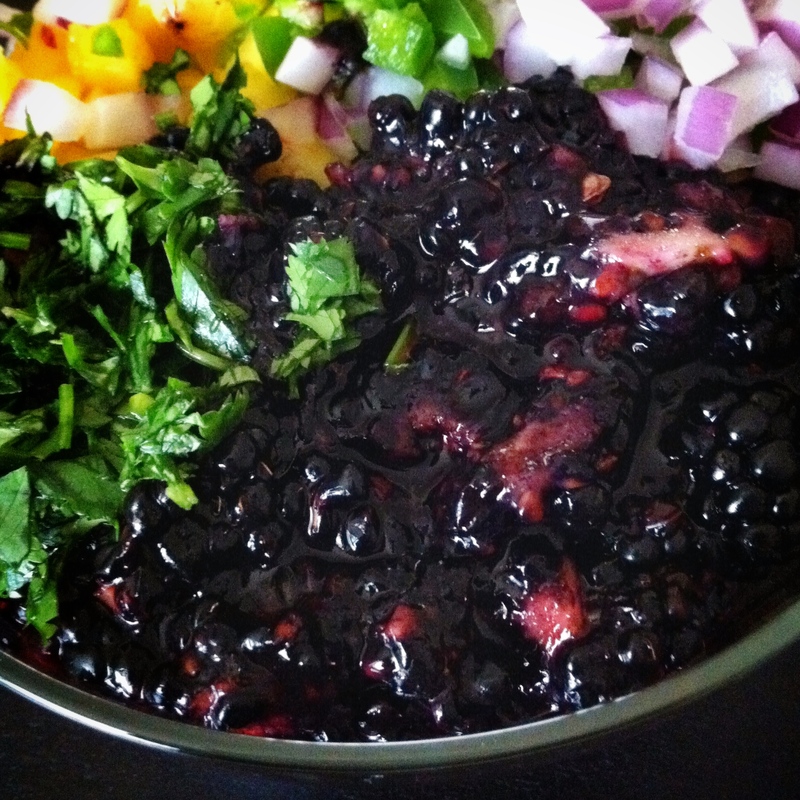 Add everything to the bowl with the blackberries. Top with lime juice and salt and toss to combine. If you’re not a weirdo and can get past that then you should definitely try this. Yum yum yum and so fresh. Just love those array of fresh fruits on the dish!